I had a great time with the first book in this new series, Skinny Dipping with Murder. 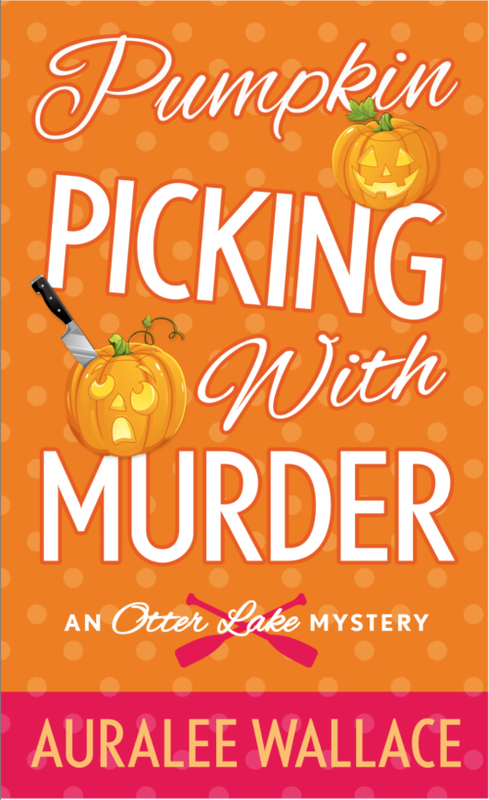 It's a cozy mystery series set in the small town of Otter Lake, New Hampshire. Our main protagonist is Erica Bloom and she, along with her best friend Freddie Ng, can't help but get involved when murder is suspected. Erica is back in Otter Lake for the annual Fall Festival. There have been some changes since she left a few months prior. Her best friend Freddie has opened a security company and is playing up to the local residents. So much so that Erica's love interest and local Sheriff Grady, has been taking a beating in the popularity polls. Erica came back to see if she and Grady can make a relationship work. That is until the death of a prominent member of the town. A married man who died while on the Tunnel of Love ride with Erica's "Aunt" Tweety, who was not his wife. Now Erica is determined to make sure that neither Tweety nor her twin Kit Katt take the fall for his murder. There was an interesting twist in this book, with the introduction of a second love interest for Erica. One that I think suits her better than Grady. But we will have to see how that plays out in future books. I was also glad to see that Erica would be staying in Otter Lake instead of returning to Chicago. We knew it would have to happen and I was happy that it wasn't drug out. St. Martin's and Netgalley provided me with this book in exchange for my honest opinion. For a small town like Otter Lake, New Hampshire, the annual Fall Festival is a big deal: a Ferris wheel, corn maze, caramel apples and pumpkin pies—even a Tunnel of Love. Back in her hometown, Erica Bloom is trying to enjoy herself, which includes getting better acquainted with Sheriff Grady Forrester. But when a swan boat sails out of the heart-shaped exit of the tunnel with a dead man slumped over a wing, her own romance will have to take a backseat. Speaking of love affairs, the other passenger in the boat—and only witness to the elderly Mr. Masterson’s swan song—is not his wife. It’s Erica’s beloved and feisty “aunt,” Tweety, who quickly becomes the prime suspect. Vowing to clear Tweety, Erica teams up with her sassy BFF and self-appointed security expert Freddie Ng to solve the murder—despite the objections of Grady, who’s convinced the amateurs are going overboard in their investigation. And he just may be right. But as Erica and Freddie start to dredge up long-kept small-town secrets, will they heading straight into troubled waters?